The judges awarded the team for their excellence in constructing New Zealand’s first and only internationally recognised tier one hockey facility in a tight time frame and with redesign required. 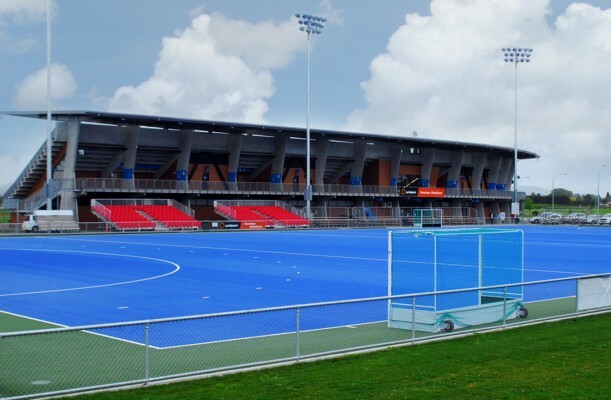 The Sports park had the first International Festival of Hockey booked in that couldn’t be changed and would be televised. Amongst other redesigns in the 20 week programme, this meant the flood lighting had to be specific for HD broadcasting standards. To prevent delays in matches due to water ponding and to allow flat surface grades, the turf needed to be particularly porous. Higgins teamed up with international turf company Polytene STI. The HB team also designed and constructed a viewing tower from shipping containers fully equipped with power and fibre optics.